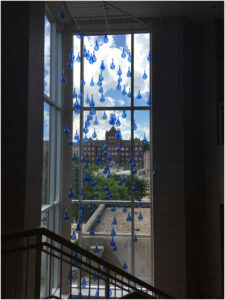 In 2016 we were invited to create an installation at the University of Wisconsin Pyle Center. 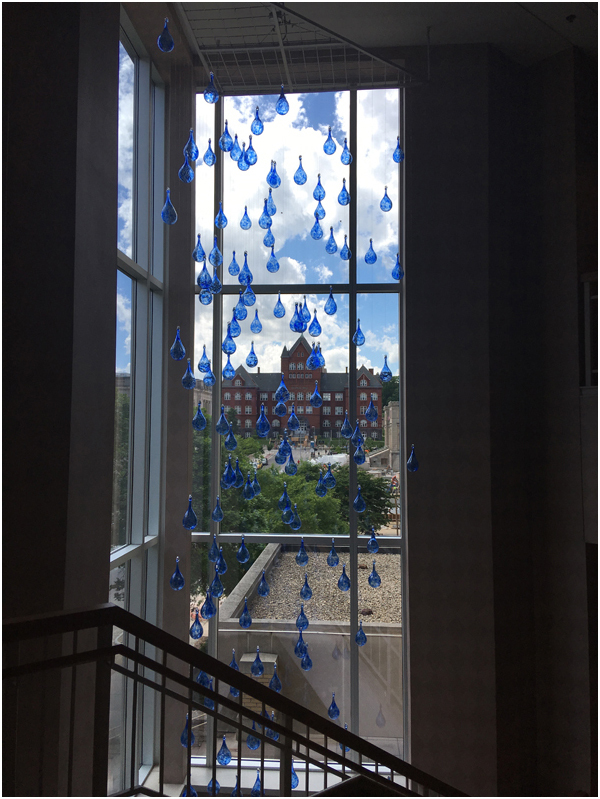 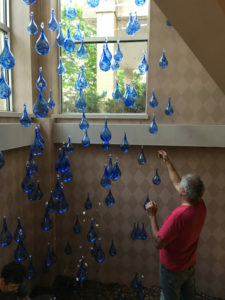 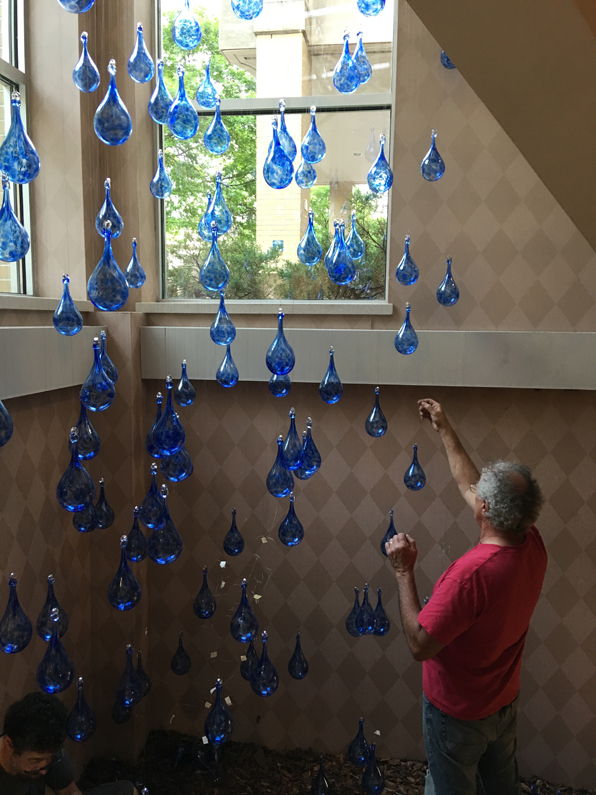 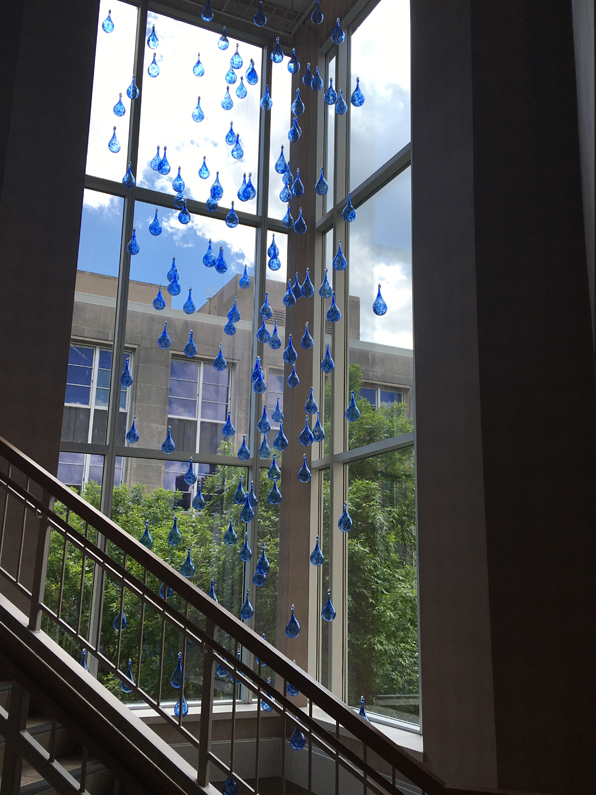 We filled the windows in a three story stairwell with 135 blown glass teardrops. 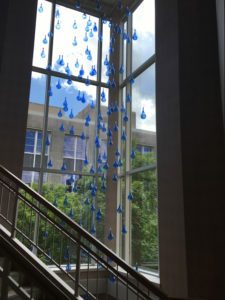 Contact us for a proposal if you are interested in a similar installation. 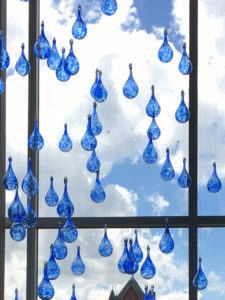 All copyrights reserved to Scott Simmons, Sunrise Glassworks LLC, Belleville, WI.